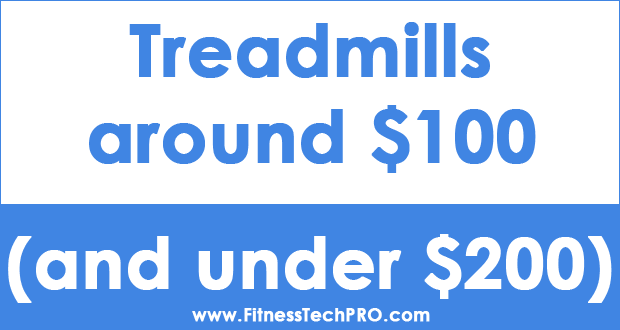 Schwinn fitness machines are known for being a reliable method of enjoying a fantastic indoor workout experience. The American fitness brand Schwinn manufactures upright bikes, recumbent bikes, ellipticals, and accessories. And of course, Airdyne bikes, their most famous fitness product. Using innovative Patented Air Resistance Technology, Schwinn Airdyne bikes are highly sought-after on the fitness equipment market. They are well-liked because of their high quality, durable materials. They are also easy to mount and use. The Schwinn Airdyne Evolution Comp is no different. 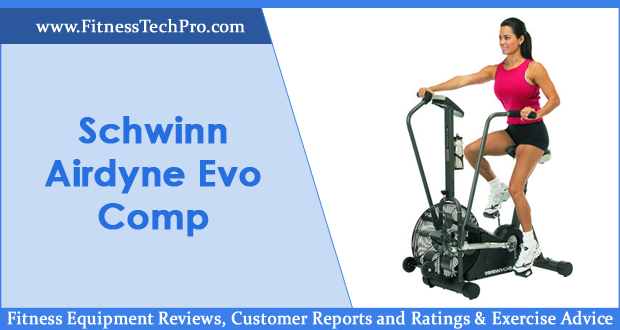 This Schwinn Airdyne Evolution Comp review will discuss these features in detail. The Schwinn Airdyne Evo Comp has been discontinued. You can still find second hand Schwinn Airdyne Evo Comp bikes for purchase, however. If you are interested in an Airdyne indoor cycle, we recommend you take a look at the newer Schwinn Airdyne models, the Schwinn Airdyne AD6 and Schwinn Airdyne AD7. While the Schwinn Airdyne AD6 exercise bike shares quite a few features with other models of the Schwinn Airdyne class, it comes with multiple upgrades that we will analyze in this article. If you are searching for an alternative to traditional outdoor bicycles, find out if the Schwinn Airdyne AD6 bike fulfills your requirements in the Schwinn this Airdyne Exercise Bike review. What is the Schwinn Airdyne AD6? 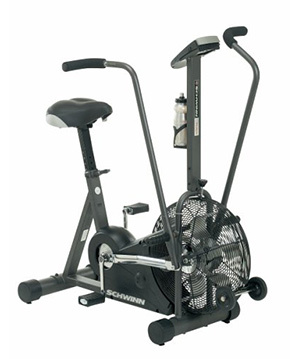 The Schwinn Airdyne AD6 is one of the most popular exercise bikes from Schwinn. 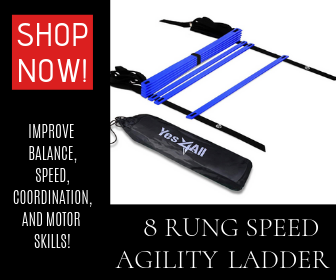 It is an ideal fitness accessory for those looking for low impact exercise, as well as general fitness, weight loss, heart rate training, upper or lower body exercise, physical therapy, and performance training. Its computer features an LCD display that presents calories, time, distance, RPM, heart rate, calories per hour and workload. It comes with two workout programs, simultaneous upper and lower body, or just focusing on upper body workout. Its drive system presents a chain and belt drive equipped with a spring-loaded chain tensioner, according to the manufacturer’s website, while the resistance levels – based on air – are infinite. As far as assembly is concerned, half of the user reviews claim it was very simple, while the other half stated they had issues with this part. In this section of the Schwinn Airdyne AD6 review, we briefly summarize the pros and cons of the Schwinn Airdyne AD6. Where to Find the Schwinn Airdyne Exercise Bike? You can still find used Schwinn Airdyne bikes online. Most large online retailers may feature ads for this model. If you decide to purchase a second hand Schwinn Airdyne AD6, be sure to check it thoroughly. Though these models are quite sturdy and were built to last, this indoor cycle model has been around for quite some time. Consult the Schwinn Airdyne AD6 maintenance section below in our Schwinn Airdyne review for tips on how to care for your indoor cycle. You can also use this section to check a second-hand model, and see if it was taken care of by its previous owner. Customers who bought the Schwinn Airdyne AD6 state that it is highly useful for low impact exercise. 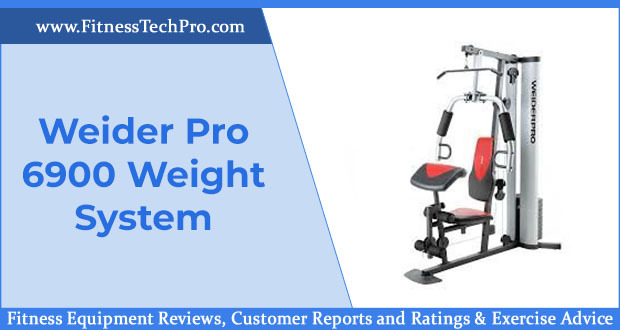 According to these user reviews, you can focus on your upper and lower body at the same time or individually on your upper body. Even more so, while you work on attaining your ideal weight, you will be increasing the strength of your muscles. You’ll also boost your aerobic and cardiovascular fitness. As far as Schwinn Airdyne pro routines are concerned, there are a few options, depending on your fitness goals. For example, if you want to use the Airdyne AD6 exercise bike for warm-up routines, all you have to do is ride casually for ten to twenty minutes at 50 to 200 watts, depending on how experienced you are. Schwinn fitness equipment reviews state that the Airdyne Evolution Comp model is rather easy to maintain, thanks to its friction-free braking system. Users also claim that the only Schwinn Airdyne Evolution Comp parts you need to change at one point are the batteries that it runs on. Unfortunately, one of the downsides of the Schwinn Airdyne AD6 Exercise Bike is that it does not come with any accessories for purchasing the model alone. For instance, on the manufacturer’s website, the water bottle and cage included in the product’s picture are not included. Also, a heart rate transmitter chest strap, which might come in handy, is sold separately from the main product. As far as warranties and guarantees are concerned, the Schwinn Airdyne AD6 has quite a competitive deal for both residential and commercial uses. If you purchase the Airdyne AD6 for home-use, the frame has a 30-year warranty, the parts and electronics – 3 year warranty, and the labor and wear items: 1-year warranty. For commercial purposes, the frame has a 15-year warranty, the electronics and labor – 1 year, and the wear parts – 6 months. Most Schwinn Airdyne AD6 exercise bike reviews are positive. As far as the machine goes, there are basically no complaints. Many praised the design of this Schwinn Airdyne model. While there’s not much of a difference between the Schwinn Airdyne AD2 model and this one, the fan is much quieter than with the earlier model. Schwinn Airdyne AD6 users also appreciated how easy it is to move the bike around, and the fact that it gives you a full body workout, perfect for high-intensity workouts. The main complaint was not related to the bike itself, but with the assembly instructions. The assembly guide that comes with the bike is difficult to read and quite unclear. Users recommended using the online assembly manual instead. 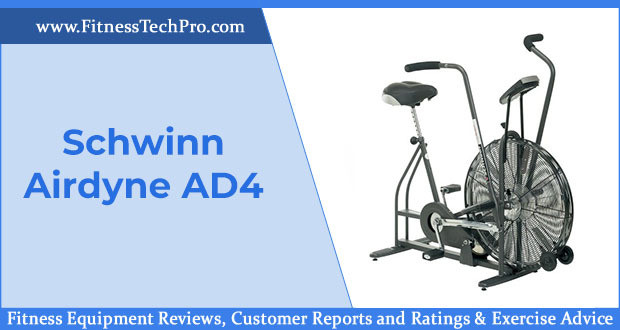 To conclude our Schwinn Airdyne AD6 Exercise Bike review, we must say this unit is a solid Airdyne model for anyone looking to improve the intensity of their home workout. The bike is silent and easy to fit even in smaller apartments. 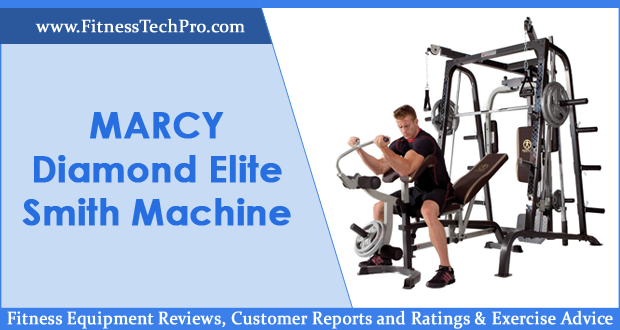 And while for some the price tag may be a little bit prohibitive, seasoned users noted that it is far less expensive than a mid-range elliptical. Do you own a Schwinn Airdyne Bike or have used one in the past? What would you like to add to our Schwinn Airdyne AD6 review? I would like to book that comes with this machine. We moved and I can’t find it. Just starting to use it after a few years and what to know more about the settings. My Evolution Comp has a different computer? Is anyone aware of a different manual with instructions for another computer?